Proprietary Name: Gatifloxacin What is the Proprietary Name? Non-Proprietary Name: Gatifloxacin What is the Non-Proprietary Name? Gatifloxacin with NDC 0378-5431 is a a human prescription drug product labeled by Mylan Pharmaceuticals Inc.. The generic name of Gatifloxacin is gatifloxacin. 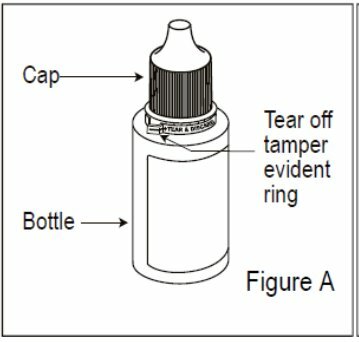 The product's dosage form is solution/ drops and is administered via ophthalmic form. FDA Application Number: ANDA206446 What is the FDA Application Number? Gatifloxacin ophthalmic solution is indicated for the treatment of bacterial conjunctivitis caused by susceptible strains of the following organisms: •Aerobic gram-positive bacteria:Staphylococcus aureusStaphylococcus epidermidisStreptococcus mitis group*Streptococcus oralis*Streptococcus pneumoniae •Aerobic gram-negative bacteria:Haemophilus influenzae*Efficacy for these organisms were studied in fewer than ten infections. •Day 1: Instill one drop every two hours in the affected eye(s) while awake, up to eight times. •Day 2 through Day 7: Instill one drop two to four times daily in the affected eye(s) while awake. Gatifloxacin ophthalmic solution is contraindicated in patients with a history of hypersensitivity to gatifloxacin, to other quinolones, or to any of the components in this medication [see Warnings and Precautions (5.1)]. Some patients receiving topical ophthalmic gatifloxacin experienced hypersensitivity reactions including anaphylactic reactions, angioedema (including pharyngeal, laryngeal, or facial edema), dyspnea, urticaria, and itching, even following a single dose. Rare cases of Stevens-Johnson Syndrome were reported in association with topical ophthalmic gatifloxacin use. If an allergic reaction to gatifloxacin occurs, discontinue the drug [see Patient Counseling Information (17)]. Prolonged use of gatifloxacin ophthalmic solution may result in overgrowth of nonsusceptible organisms, including fungi. If superinfection occurs, discontinue use and institute alternative therapy. Whenever clinical judgment dictates, examine the patient with the aid of magnification, such as slit lamp biomicroscopy and where appropriate, fluorescein staining. Gatifloxacin ophthalmic solution is for topical ophthalmic use. Gatifloxacin ophthalmic solution may cause corneal endothelial cell injury if introduced directly into the anterior chamber of the eye. Because clinical studies are conducted under widely varying conditions, adverse reaction rates observed in the clinical studies of a drug cannot be directly compared to rates in the clinical studies of another drug and may not reflect the rates observed in practice.In clinical studies of patients with bacterial conjunctivitis treated with gatifloxacin ophthalmic solution (N = 717), the most frequently reported adverse reactions occurring in ≥ 1% of patients were: worsening of the conjunctivitis, eye irritation, dysgeusia, and eye pain.Additional adverse reactions reported with other formulations of gatifloxacin ophthalmic solution in other clinical studies included chemosis, conjunctival hemorrhage, dry eye, eye discharge, eyelid edema, headache, increased lacrimation, keratitis, red eye, papillary conjunctivitis, and reduced visual acuity. The following adverse reactions have been identified during post-approval use of gatifloxacin ophthalmic solution, 0.5% or with other formulations of gatifloxacin ophthalmic solution. Because these reactions are reported voluntarily from a population of uncertain size, it is not always possible to reliably estimate their frequency or establish a causal relationship to drug exposure. These reactions included anaphylactic reactions and angioedema (including pharyngeal, oral or facial edema), blepharitis, dyspnea, eye pruritus, eye swelling (including corneal and conjunctival edema), hypersensitivity, including signs and symptoms of eye allergy and allergic dermatitis, nausea, pruritus (including pruritus generalized, rash, urticaria), and vision blurred. There are no available data on the use of gatifloxacin ophthalmic solution in pregnant women to inform a drug-associated risk. Administration of oral gatifloxacin to pregnant rats and rabbits throughout organogenesis did not produce adverse development outcomes at clinically relevant doses. Administration of gatifloxacin to rats during late gestation through lactation did not produce adverse maternal, fetal or neonatal effects at clinically relevant doses. There is no information regarding the presence of gatifloxacin in human milk, the effect of gatifloxacin on breastfed infants, or the effect of gatifloxacin on milk production. Gatifloxacin was found in the breast milk of rats following oral administration of gatifloxacin during lactation. However, systemic levels of gatifloxacin following topical ocular administration are low [see Clinical Pharmacology (12.3)], and it is not known whether gatifloxacin would be present in maternal milk at measurable levels following topical ocular administration. The developmental and health benefits of breastfeeding should be considered along with the mother’s clinical need for gatifloxacin ophthalmic solution and any potential adverse effects on the breastfed child from gatifloxacin ophthalmic solution. Oral administration of gatifloxacin to pregnant rats throughout organogenesis produced teratogenic effects in rat fetuses, including skeletal/craniofacial malformations, delayed ossification, atrial enlargement, and reduced fetal weight, at doses greater than or equal to 150 mg/kg/day (approximately 600-fold higher than the maximum recommended human ophthalmic dose [MRHOD] for gatifloxacin ophthalmic solution of 0.04 mg/kg/day, on a mg/m2 basis). No teratogenic effects were observed in rat or rabbit fetuses at doses of gatifloxacin up to 50 mg/kg/day (approximately 200- and 400-fold higher than the MRHOD, respectively, on a mg/m2 basis). In a perinatal/postnatal study in rats, oral administration of gatifloxacin during late gestation through lactation produced an increase in late gestation fetal loss and neonatal/perinatal mortality at 200 mg/kg/day (approximately 800-fold higher than the MRHOD on a mg/m2 basis). The safety and effectiveness of gatifloxacin ophthalmic solution in infants below one year of age have not been established. Gatifloxacin ophthalmic solution has been demonstrated in clinical trials to be safe and effective for the treatment of bacterial conjunctivitis in pediatric patients one year or older [see Clinical Studies (14)]. Gatifloxacin is a quinolone antimicrobial ophthalmic solution for the treatment of bacterial conjunctivitis. Its chemical name is (±)-1-Cyclopropyl-6-fluoro-8-methoxy-7-(3-methyl)-1-piperazinyl-4-oxo-1,4-dihydroquinoline-3-carboxylic acid, hemihydrate. Its molecular formula is C19H22FN3O4•½ H2O, and its molecular weight is 384. 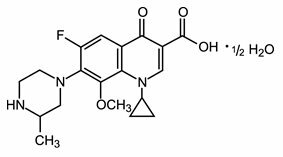 Its chemical structure is:Gatifloxacin ophthalmic solution is a clear, pale yellow, sterile, preserved aqueous solution with an osmolality of 260 to 330 mOsm/kg and a pH of 5.1 to 5.7.Gatifloxacin ophthalmic solution contains the active ingredient gatifloxacin 0.5% (5 mg/mL) and the inactive ingredients benzalkonium chloride 0.005%, edetate disodium, sodium chloride and water for injection. Gatifloxacin ophthalmic solution may contain hydrochloric acid and/or sodium hydroxide to adjust pH. Gatifloxacin ophthalmic solution 0.5% was administered to one eye of six healthy male subjects each in an escalated dosing regimen starting with a single two drop dose, then two drops four times daily for seven days, and finally two drops eight times daily for three days. At all time points, serum gatifloxacin levels were below the lower limit of quantification (5 ng/mL) in all subjects. Gatifloxacin is an 8-methoxyfluoroquinolone with a 3-methylpiperazinyl substituent at C7. The antibacterial action of gatifloxacin results from inhibition of DNA gyrase and topoisomerase IV. DNA gyrase is an essential enzyme that is involved in the replication, transcription, and repair of bacterial DNA. Topoisomerase IV is an enzyme known to play a key role in the partitioning of the chromosomal DNA during bacterial cell division. The mechanism of action of fluoroquinolones including gatifloxacin is different from that of aminoglycoside, macrolide, and tetracycline antibiotics. Therefore, gatifloxacin may be active against pathogens that are resistant to these antibiotics and these antibiotics may be active against pathogens that are resistant to gatifloxacin. There is no cross-resistance between gatifloxacin and the aforementioned classes of antibiotics. Cross-resistance has been observed between systemic gatifloxacin and some other fluoroquinolones.Resistance to gatifloxacin in vitro develops via multiple-step mutations. Resistance to gatifloxacin in vitro occurs at a general frequency of 1 x 10-7 to 10-10.Gatifloxacin has been shown to be active against most isolates of the following organisms both microbiologically and clinically, in conjunctival infections: •Aerobic gram-positive bacteria:Staphylococcus aureusStaphylococcus epidermidisStreptococcus mitis group*Streptococcus oralis*Streptococcus pneumoniae •Aerobic gram-negative bacteria:Haemophilus influenzae*Efficacy for these organisms were studied in fewer than ten infections. There was no increase in neoplasms among B6C3F1 mice given gatifloxacin in the diet for 18 months at doses averaging 81 mg/kg/day in males and 90 mg/kg/day in females. These doses are approximately 175-fold higher than the maximum recommended ophthalmic dose (MRHOD) of 0.04 mg/kg/day gatifloxacin ophthalmic solution in a 60 kg human (on a mg/m2 basis).A statistically significant increase in the incidence of large granular lymphocyte (LGL) leukemia was seen in male rats treated with 100 mg/kg/day (approximately 405-fold higher than the MRHOD, on a mg/m2 basis). Fischer 344 rats have a high spontaneous background rate of LGL leukemia and the incidence in high-dose males only slightly exceeded the historical control range established for this strain. There was no increase in neoplasms among Fischer 344 rats given gatifloxacin in the diet for two years at doses averaging 47 mg/kg/day in males and 139 mg/kg/day in females (approximately 190- and 560-fold higher than the MRHOD, respectively), on a mg/m2 basis. In genetic toxicity tests, gatifloxacin was positive in one of five strains used in bacterial reverse mutation assays: Salmonella strain TA102. Gatifloxacin was positive in in vitro mammalian cell mutation and chromosome aberration assays. Gatifloxacin was positive in in vitro unscheduled DNA synthesis in rat hepatocytes but not human leukocytes. Gatifloxacin was negative in in vivo micronucleus tests in mice, cytogenetics test in rats, and DNA repair test in rats. The genotoxic findings are similar to findings obtained with other quinolones and may be due to the pharmacologic inhibitory effects of high concentrations of gatifloxacin on eukaryotic type II DNA topoisomerase. Oral administration of gatifloxacin produced no adverse effects on fertility or reproduction in rats at doses up to 200 mg/kg/day (approximately 800-fold higher than the MRHOD on a mg/m2 basis). In two randomized, double-masked, multicenter clinical trials, where patients 1 to 89 years of age were dosed for five days, gatifloxacin ophthalmic solution was clinically superior to its vehicle on day 6 in patients with conjunctivitis and positive conjunctival cultures. Clinical outcomes for the trials demonstrated clinical success (resolution of conjunctival hyperemia and conjunctival discharge) in 58% (193/333) of patients for the gatifloxacin-treated groups vs. 45% (148/325) for the vehicle-treated groups. Microbiological outcomes for the same clinical trials demonstrated a statistically superior eradication rate for causative pathogens of 90% (301/333) for gatifloxacin vs. 70% (228/325) for vehicle. Please note that microbiological eradication does not always correlate with clinical outcome in anti-infective trials. Gatifloxacin Ophthalmic Solution is a sterile, clear, pale yellow solution practically free from particles of 0.5% gatifloxacin. 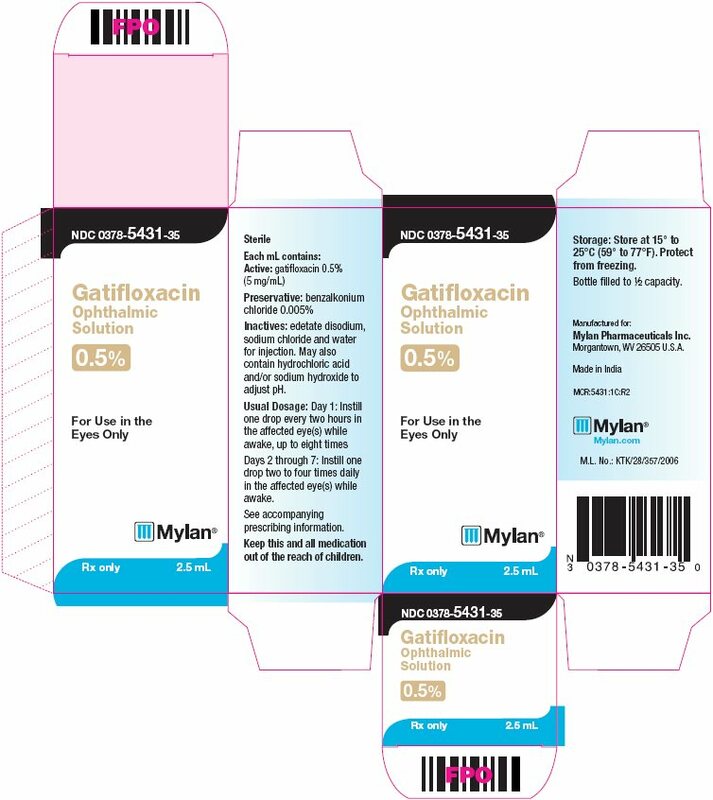 Each mL of Gatifloxacin Ophthalmic Solution, 0.5% contains 5.120 mg gatifloxacin hemihydrate equivalent to 5 mg (0.5%) gatifloxacin.Gatifloxacin Ophthalmic Solution, 0.5% is supplied as a 2.5 mL solution in a 5 mL three piece container consisting of a white low density polyethylene bottle, a white low density polyethylene open nozzle and a tan high density polyethylene cap. 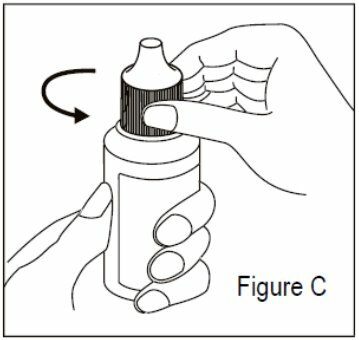 2.5 mL fillNDC 0378-5431-35carton of one bottleStorage: Store at 15° to 25°C (59° to 77°F). Protect from freezing. 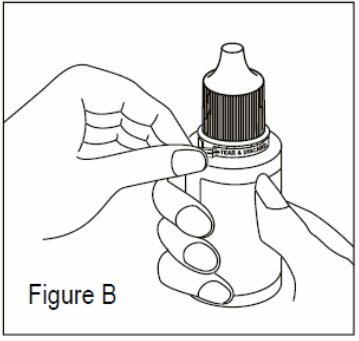 Avoiding Contamination of the Product: Instruct patients to avoid contaminating the applicator tip with material from the eye, fingers, or other source.Potential for Hypersensitivity Reactions: Advise patients to discontinue use immediately and contact the physician at the first sign of a rash or hypersensitivity reaction [see Warnings and Precautions (5.1) and Contraindications (4)].